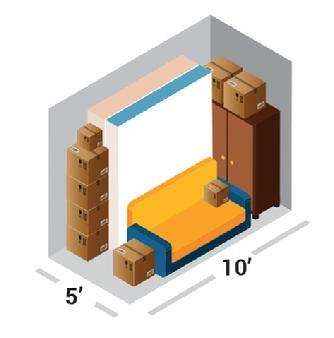 A 5X10 unit is ideal for storing small amounts of furniture, sofas, chairs, chest of drawers, box spring and mattress, and business supplies; Plus, other small items and boxes. A 10X10 unit is an ideal storage space for a one-bedroom apartment with major appliances, odds and ends, as well as a few other small pieces of furniture. 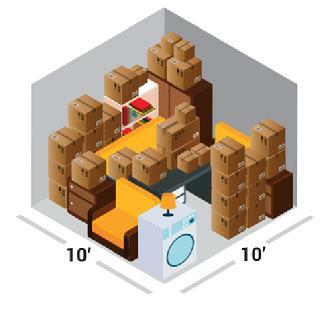 A 10X15 unit is an ideal storage space for a two-bedroom apartment or house, including major appliances, miscellaneous items, and a few medium size boxes. A 10x15 unit could also be used for commercial or business storage. 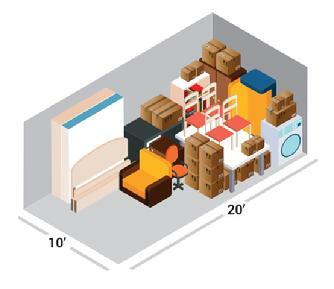 A 10X20 unit is an ideal storage space for a three to four-bedroom house with major appliances. 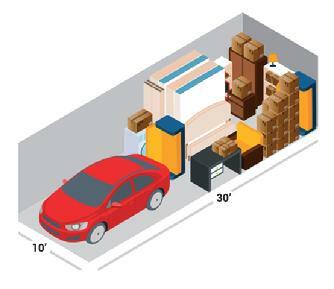 This size space can also store quite a few boxes at various sizes. A 10x20 unit could also be used for commercial or business storage. This size unit is also great for storing an automobile. A 10X30 unit is an ideal storage space for a four-to five-bedroom house with all major appliances and plenty more space left over for boxes. A 10x30 unit could also be used for commercial or business storage for large amounts of business files, and even some office equipment. 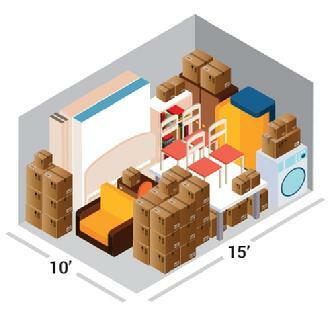 A 20x10 unit is an ideal storage space for a four house with furnishings, all major appliances, patio furniture, room for many boxes, and garage extras. 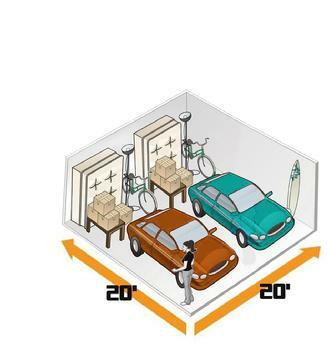 A 20x10 unit could also be used for commercial or business storage. A 20x20 unit is an ideal storage space for a four-to five-bedroom house with all major appliances and plenty more space left over for boxes or it could store two vehicles and a few extra items. A 20x20 unit could also be used for commercial or business storage for large amounts of business files, some office equipment and even some small construction equipment.